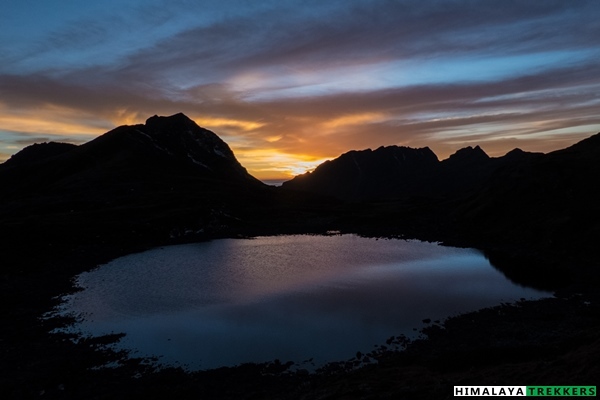 The Uttarey/Singalila trek in Sikkim is all along the high ridges of the Singalila Range bordering Sikkim and Nepal. 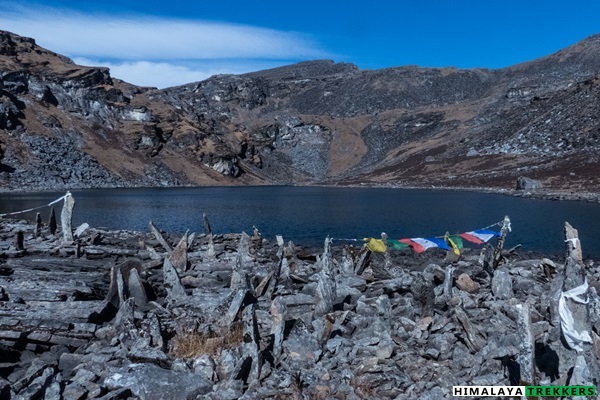 This challenging and off the beaten trek, pioneered by none other than the legendary mountaineer, Tenzing Norgay Sherpa, is over steep and rocky terrain, lush green valleys, fast flowing rivers and beautiful high altitude lakes. 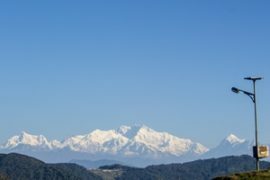 It offers striking and majestic views of the Sikkim and Nepal Himalayas including Everest, Lhotse, Makalu and Kanchenjunga from countless view points. 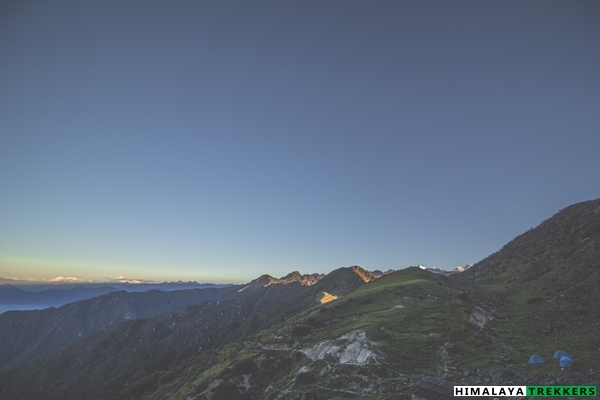 Dafeybhir trek is sure to whet the appetites of those seeking a singular experience. 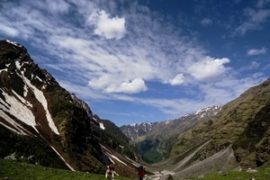 Dafeybhir trail starts from Uttarey, a village located in West Sikkim, spread on the valley with one street small bazaar and lodges. 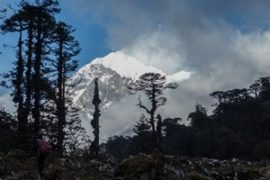 Our trail will continue along Singalila ridge bordering south western Sikkim and Nepal border and then reentering Sikkim. 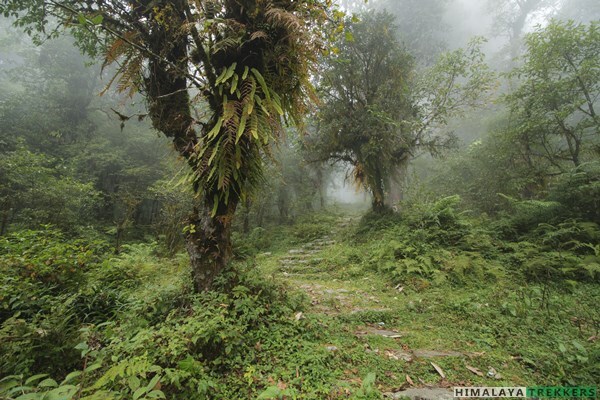 Trail ends in upper Nombu region in west Sikkim which is around 2/3 hours drive from tourist town Pelling. 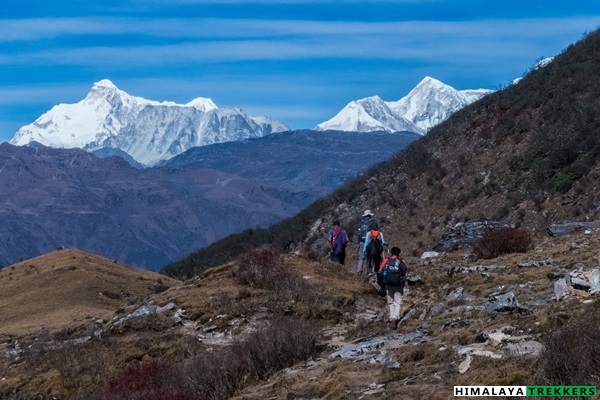 Popular Yuksom Goecha La trail lies further east to this trail, around 3/4 days hike from Dafeybhir joining in Dzongri. 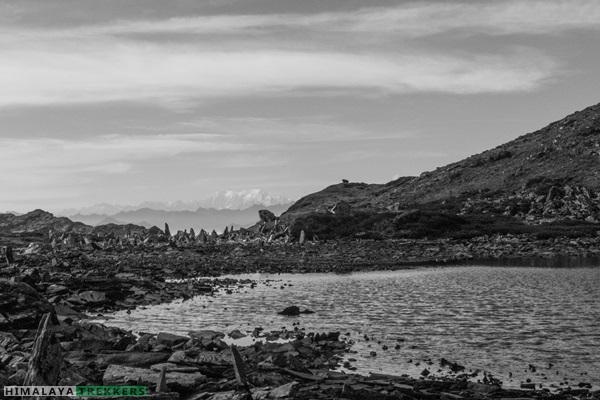 Truly this trail can be referred Sikkim Alpine lakes trial. There are almost 10 high altitude lakes spreading on and around the trail once we reach ~ 4000 m/13000 ft, medium or large in size. Most of these are on the trail, for few you have to take a detour around an hour. 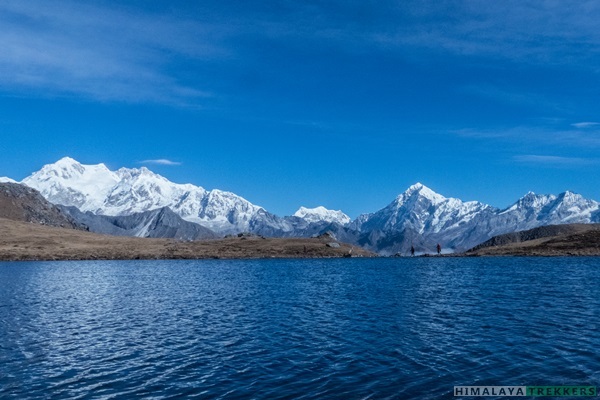 To mention, Nepal Jumley Pokhri (twin lakes), Lampokhri (longitudinal lake), Sikkim Jumley (Ram and Laxman Pokhri). For Tembong Pokhri and Laxmi Pokhri, we need to add few kilometre from our usual trail. 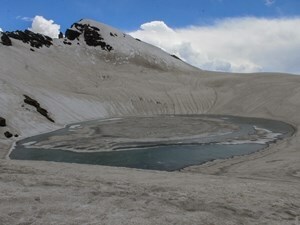 Pokhri means lake in Nepalese language. Regarding peak views, this trail is mix of both panoramic and close up. 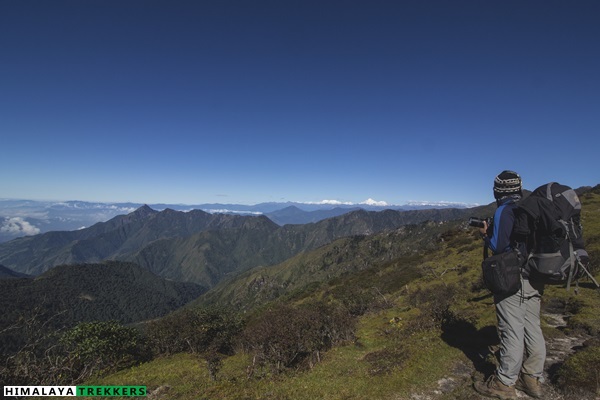 After leaving Chewabhanjang, we take the famous Singalila ridge much northerly than usual Sandakphu Phalut trail. Basically we walk facing much acclaimed and revered Sleeping Buddha, a typical formation of Kanchendzongha and neighbouring high mountains. 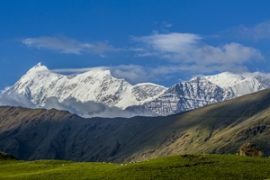 More than 2 days you will continue on the ridge witnessing the beauty High Himalayan mountains host of peaks in Sikkim and neighbouring Nepal. 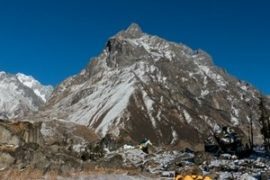 This trek essentially combines all the peaks one can see from Sandakphu and from Goecha La, with few additions! 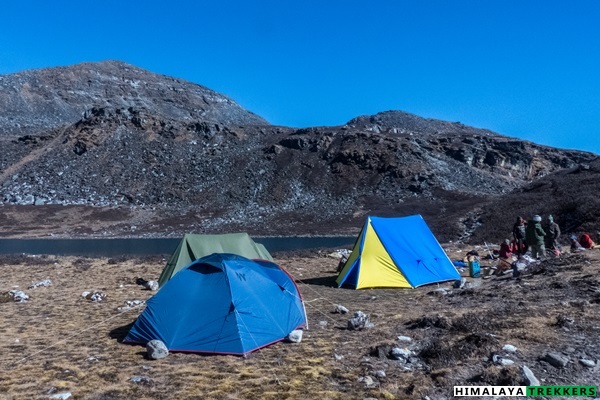 Day 7: Early morning visit Dafeybhir pass, explore lakes around and return to Lampokhri camp. 5/6 hours round trip. 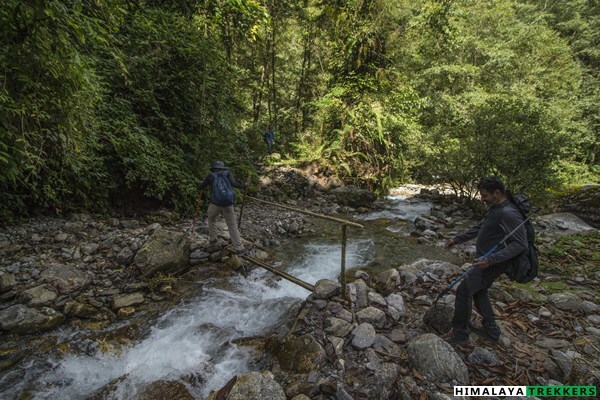 Day 8: Trek down to upper Naya Patal (SSB camp) via Yombong – 12 Km – 5/6 hours. We will arrange a pickup and drop from NJP/Siliguri to Uttarey and return from Pelling. This will be shared by the team members on actual basis and you pay directly to driver/owner on spot. Typically a Tata Sumo/Mahindra Maxx type Jeep charges Rs 5500 one side which can accommodate 6 to 8 people. Tempo Traveller type vans are not available in this route. This cost is NOT included in the TREK FEE. Prerequisite: Hiking experiences on trails around, long day hikes etc. 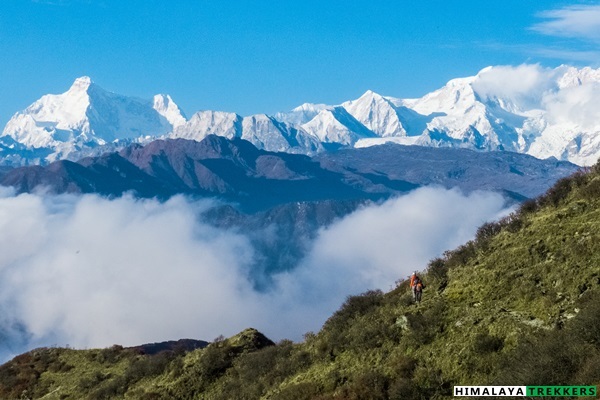 One or two prior Himalayan trekking experience is highly advised. 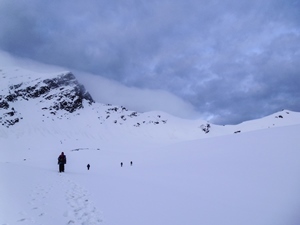 Trekkers must be in good physical condition to endure sustained walk and climb. 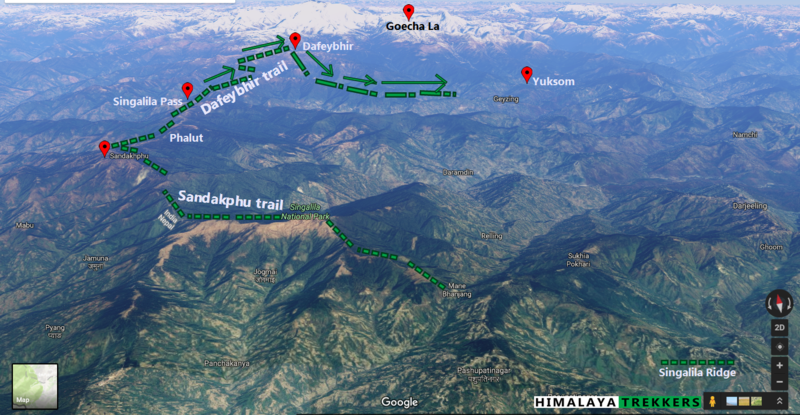 Further Option: From Dafeybhir one can continue to Dzongri in 4 days with a side trip to Chaurikhang, base camp of Himalayan Mountaineering Institute (HMI). Access: Trek starting point (trek base) is Uttarey, 160 Km from NJP. You can check the scheduled Fixed Departure dates in the calendar available inside Booking Form or inside REGISTER NOW form. Tour starting Dates are highlighted as per our itinerary (Day 1 of 11 days itinerary). Trekkers need to reach NJP/Bagdogra on Day 1 morning (latest by 10 am). Return to NJP/Bagdogra on Day 10 early evening (6 pm). Arrange your tickets for inward journey and return accordingly. 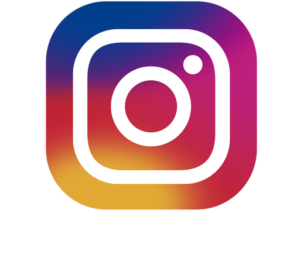 Depending upon the trek members we will arrange a pickup and drop from NJP/Siliguri to Uttarey and return from Pelling. This will be shared equally by the availing team members on actual basis. If you want to reach Uttarey by public transportation then here is the options. You have to reach Tenzing Norgay Bus Terminus in Siliguri. Then take a shared jeep for Jorethang in south Sikkim, takes around 4 hours. From there you will get a shared jeep service for Uttarey, but a seat is not guaranteed. The earlier you reach Jorethang the chances are higher to get this service. From Jorethang it is another 3 hours journey to Uttarey via Soren and Dentam. 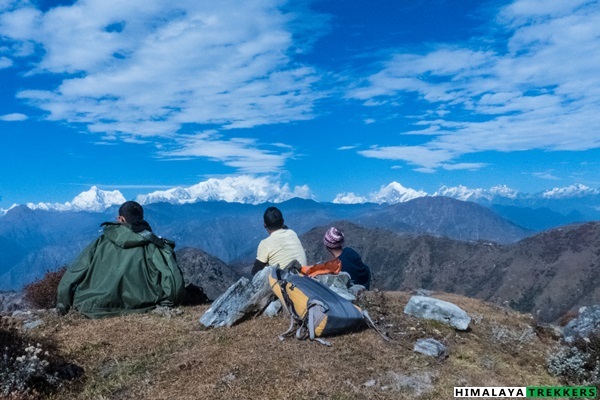 Pick up NJP railway station/Bagdogra airport and by car we drive to our trek base Uttarey (~1950 m/6400 ft). The distance is around 160 Km and may take 7/8 hours. 1 night’s accommodation at Uttarey (Day 1) in lodge on sharing basis and dinner. Car drop from trek end point Tashingong to Pelling town(accommodation on your own). All meals during the trek (Day 2 to Day 9 breakfast). Regular Indian style nutritious vegetarian food during the trek (including occasional eggs), breakfast packed/hot lunch (depending upon the time you reach a campsite), snacks, dinner along with coffee/tea/soup. Transportation from NJP/Bagdogra to Uttarey and return to NJP/Bagdogra. 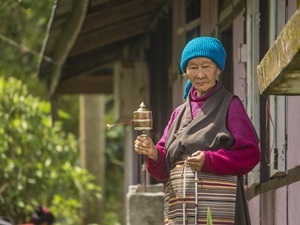 Accommodation and meals in Pelling. 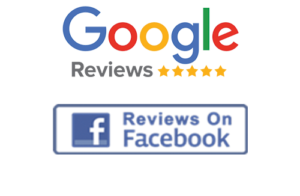 You get budget/standard/deluxe hotels and homestay’s around. Also there are decent option of vegetarian and non vegetarian restaurants in the main street area. (Indian Thali/Chinese/basic Continental). We assume that you will carry your personal Rucksack/Backpack with all your personal belongings. If you want to offload your Rucksack and be carried by Porter then you need to pay additional ₹ 2500 for the entire duration of the trek. The Rucksack should not weigh more than 10 Kg.